Another day off, another motorway walk. But this time I was dragging my girlfriend with me so I had to add something extra to my, normally, ultra-geeky motorway explorations. After spending some time over an OS Explorer map (number 147 to be precise), I finally had a clear plan of action. We started our trip in Dunton Green station conveniently located less than a mile from the interesting junction 5 on M25 (the one where M25 is joined by M26 and A21). From the station we followed London Road and Sundridge Road, and after just a few minutes we were standing on an impressive overpass carrying local Chevening Road right over the junction. It was a perfect spot for good road photography (which I can then share on some websites even more geeky than me). After taking a few dozens (or actually rather more) photos we were ready to move on to the second point of our adventure, the town of Westerham. Why there? During my studies of the OS map I spotted the National Trust property, called Quebec House, located in that town. After a few more minutes of online searches I knew that I want to visit it as I am really interested in historical connections between Britain and North America. From the junction we followed some quiet, some busy country lanes west towards Westerham. 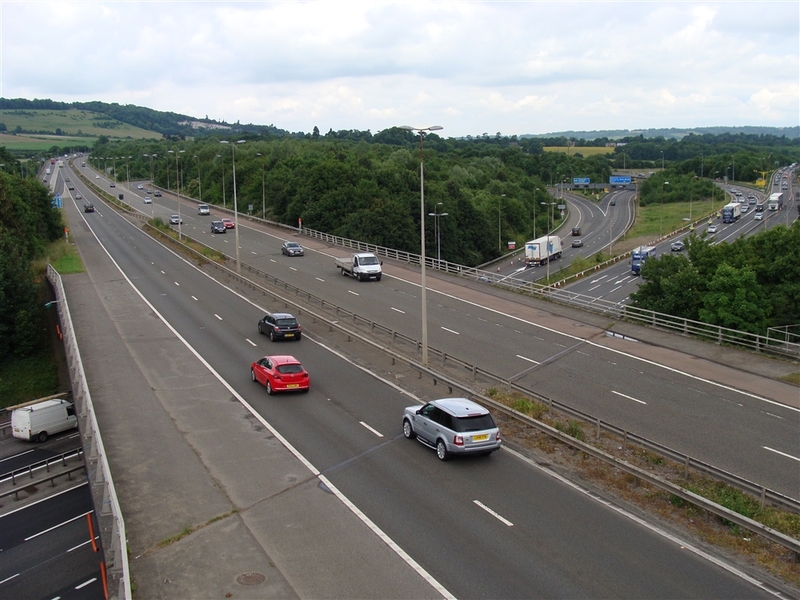 We were never far from M25 (and its noise) but we still managed to get slightly lost. We were taking shortcut across some fields (trying to avoid particularly busy local road) following, what suppose to be, a public path, when we realized that hedges completely surround the field. Not wanting to backtrack we used an umbrella and a piece of stick to ram through the smallest hole in the hedge we could find. Once on another, much more quiet, lane we headed south crossing M25 (again) and joined A25 in the village of Brasted. I always find it surprising how rural the countryside feels in such close proximity of London. We were no more than few hundred yards from London Orbital, one of the busiest roads in Europe, but the landscape was green and pleasant with lots of beautiful historic houses. No industrial estate or modern boring tract housing in sight. One could easily see that it is an affluent part of the country. However it was not all perfect. 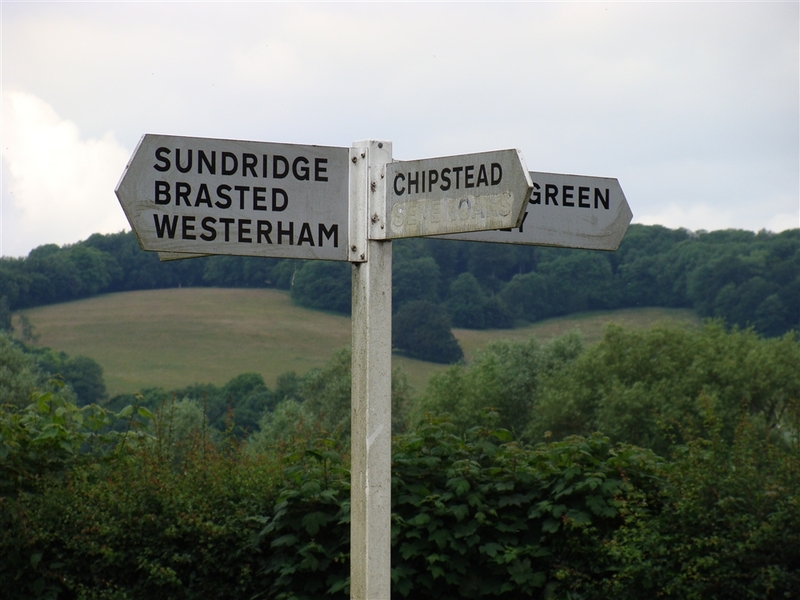 It would be great stroll from Brasted to Westerham if not for the busy A25. It really didn’t encouraged casual strolling so we covered the distance rather quickly. Which is good, because Westerham happen to be a surprisingly nice town. Our first point of call was, of course, Quebec House, the birthplace of General James Wolfe, victor of the Battle of Quebec in 1759. The brick home is located on, what is now known as, Quebec Square, on the east side of town in residential neighbourhood, and is surrounded by historic homes. The house’s coach-house contains an exhibition on the battle and on Wolfe’s life. 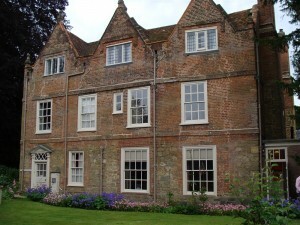 The house itself contains memorabilia on Wolfe’s birth at the house on 2 January 1727, his life and death. I really enjoyed the place. The displays were quite interesting and included copies of old maps and drawings of the epic Battle of Quebec as well as examples of military equipment from those times. It is especially fascinating place to visit for someone like me, who is seriously interested in North American history. At the end, person born in this house changed history of a half of the continent. Places like that always appeal to me. I find it fascinating to be able to walk in into important historic person’s bedroom or office. Not many places like that survived in Poland where I’m from (for obvious reasons). The town itself has a quiet genteel feel. In its centre there is a triangular village green and adjoining Market Square. Which is not actually a square at all as it is a rather wide high street used historically for markets. Henry III granted Westerham a market charter, making then the village a major player in the buying and selling of cattle in Kent, a tradition that survived to 1961 when the last cattle market was held. There are quite a few pubs, restaurants and shops, all rather well appointed, as well as statue of General Wolfe (unveiled in 1911), surrounding the green. It all feels light years away from London. However, the best pub in town is located on its outskirts, on the opposite end of town to the Quebec house. 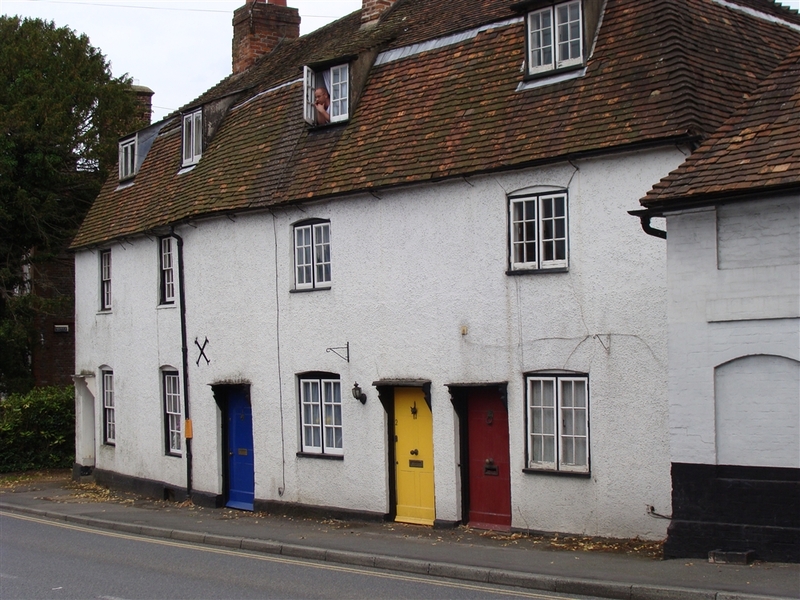 To get there you simply have to follow A25, lined here by even more old houses, until you almost leave Westerham. 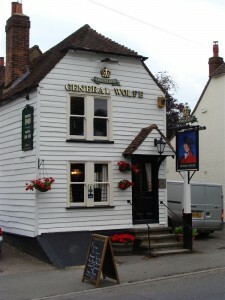 The pub is called (how else) The General Wolfe and among the others they have General Wolfe Ale on tap. It is a 16th century grade II listed pub and was once the ‘tap’ to the original Black Eagle Brewery, part of its old wall can be seen in the beer garden. The timber framed building was clad in weatherboard in the 19th century and masks the rustic cottage which climbs to the rear. It was definitely one of the best pubs I have seen for quite a while. It was quiet in the mid-week afternoon and the staff and locals were friendly. In its historic interior you could easily imagine Wolfe himself or some of his soldiers downing a pint or two before leaving for Canada. It doesn’t look like it changed much since then. The pub was the furthest point of our walk. From there we backtracked along the the A25 all the way to the outskirts of the Sevenoaks, passing the villages of Brasted and Sundridge on our way. 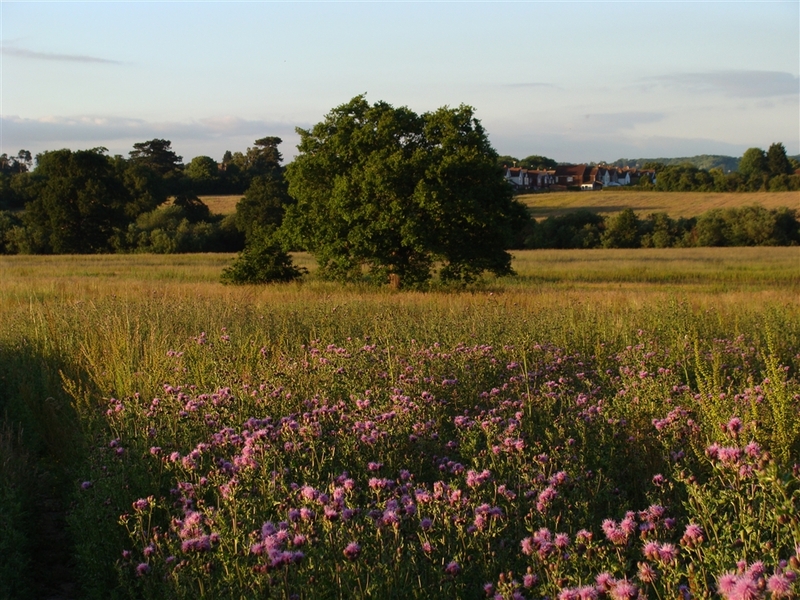 It was getting late so we decided not to go all the way to Sevenoaks station but from the junction of A25 with A24 we followed a footpath around the Chipstead Lake then across lovely meadows back towards the Dunton Green station. To finish our day on a good note we stopped in the Rose and Crown pub for a good pie and a pint or two before catching train back to London. Overall it was a great day out. It might be not the best walking trip as at times we had to follow some busy roads, but it offered a good mix of geeky road stuff as well as a good deal of interesting history with an American connection. What else one might need? 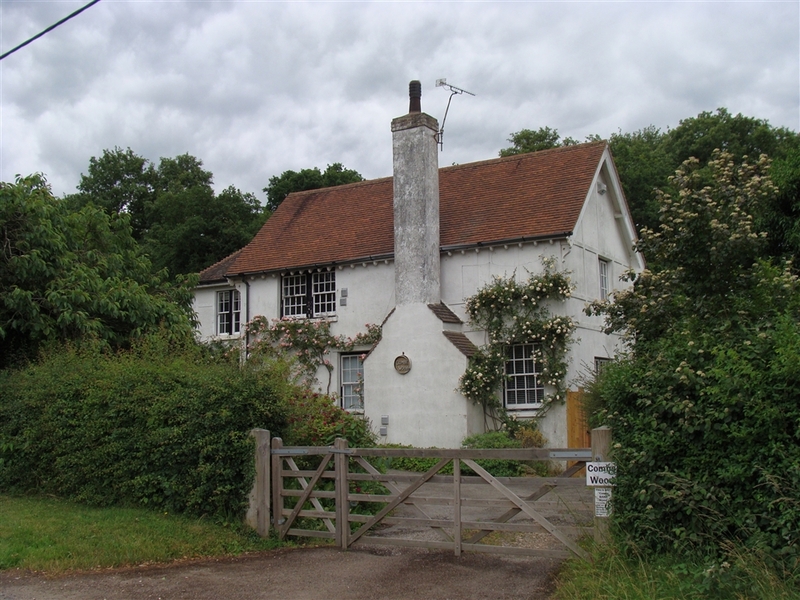 This entry was posted in Uncategorized and tagged history, James Wolfe, Kent, M25, Quebec House, walking, Westerham by Geogregor. Bookmark the permalink.